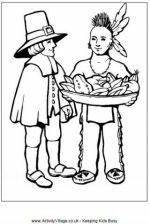 Activity Village is building up a big resources of history colouring pages designed to complement and extend your school curriculumn activities or be enjoyed in the homeschool. Both fun and "realistic" colouring pages for the kids to enjoy. 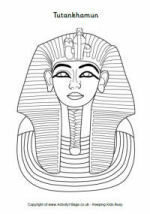 Colour in canopic jars, Tutankhamun, children dressed in Ancient Egyptian clothes, the splended sites of Ancient Egypt, and more! 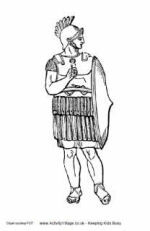 Colouring pages featuring the characters of the Greek myths and Greek gods as well as Greek soldiers, men and ladies, and coins. 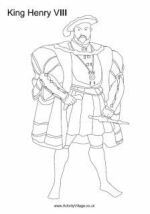 Search by individual monarch for colouring pages - we've got quite a collecition. 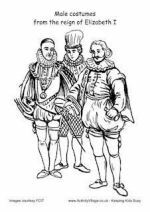 Tudor Kings and Queens, Tudor costumes, famous Tudor colouring pages and more! 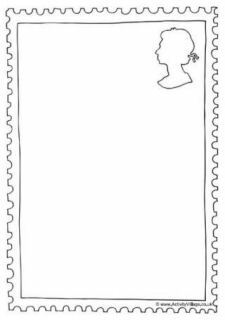 We have colouring pages for all the US Presidents and other well-known episodes and characters from US history. 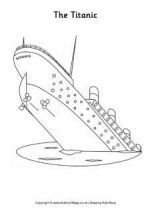 We have a variety of colouring pages for the Titanic tragedy. 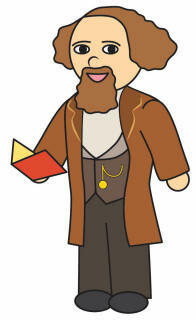 We have colouring famous people of all kinds, from composers to authors to celebrities, from ancient to modern!